Yesterday was Father's Day. It was my 7th Father's Day as a Dad. I love Father's Day because it's a chance to honor fathers and to appreciate fatherhood. Yesterday, in addition to thinking about my father and father-in-law who have both been influential teachers in my life, I also took some time to consider the role of my teachers as father figures. Last month, while in New York City, I spent an afternoon honoring the memory of two of my teachers. I went to the Beit Midrash at the Jewish Theological Seminary (JTS), where I spent six years learning the ancient texts of the Jewish people. There, a gathering of my teachers, classmates, and current rabbinical students paid tribute to Rabbi Morris Shapiro, of blessed memory. Rabbi Shapiro, ordained by Yeshivat Chochmei Lublin, spent many years as a sage consultant in the Beit Midrash where he was available to help students struggling over a passage of Talmud text. This was the 30-day anniversary of his recent death marking the end of the shloshim period and it was a fitting learning session in his honor. Sitting there with my own rabbi -- Danny Nevins -- and two of my classmates -- Josh Cahan and Rachel Ain -- I couldn't help but to think of all the wisdom that Rabbi Shapiro had passed from the Old Country to the rabbis of tomorrow. From the Seminary, I ventured downtown to an apartment across the street from the Empire State Building. This apartment -- the home of my beloved college professor Jonas Zoninsein, of blessed memory -- was now a shivah home where his family, friends and colleagues gathered to reminisce about his life. Professor Zoninsein was my teacher at James Madison College at Michigan State. A scholar of Latin American economics, he taught with devotion to the subject and a passion for education. I had the merit of sharing some stories from my undergraduate experience in his classroom with his daughter Manuela. Both of these teachers were so passionate about their teaching that they took on a fatherly role to their students. And then yesterday morning, on Father's Day, I received word that a project I created for one of the many classes I took with Rabbi Neil Gillman at JTS was included in a website in his honor. 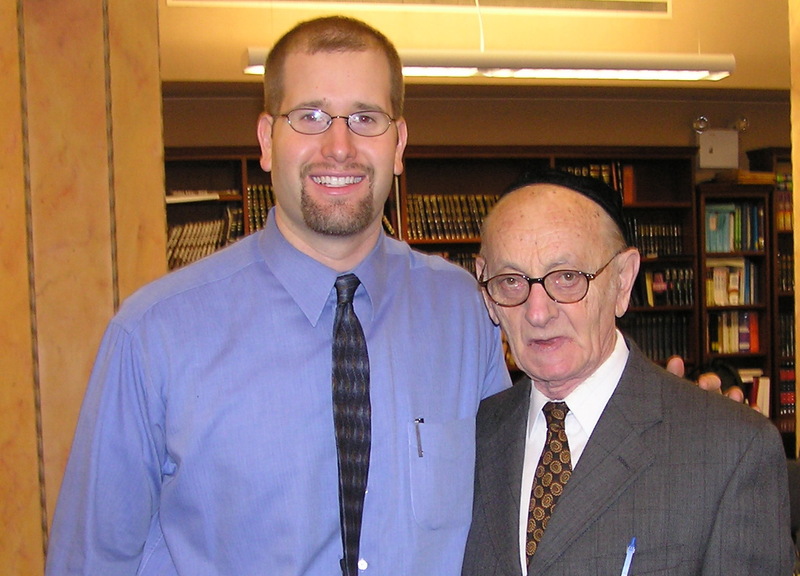 "Beit Nachum" was created to honor Rabbi Gillman, a theologian who taught at JTS for decades. As the website states, "Just as the students of Hillel and the students of Shammai disseminated and built upon the Torah of their teachers as Beit Hillel and Beit Shammai, we honor and build upon the Torah of our teacher as Beit Nachum. 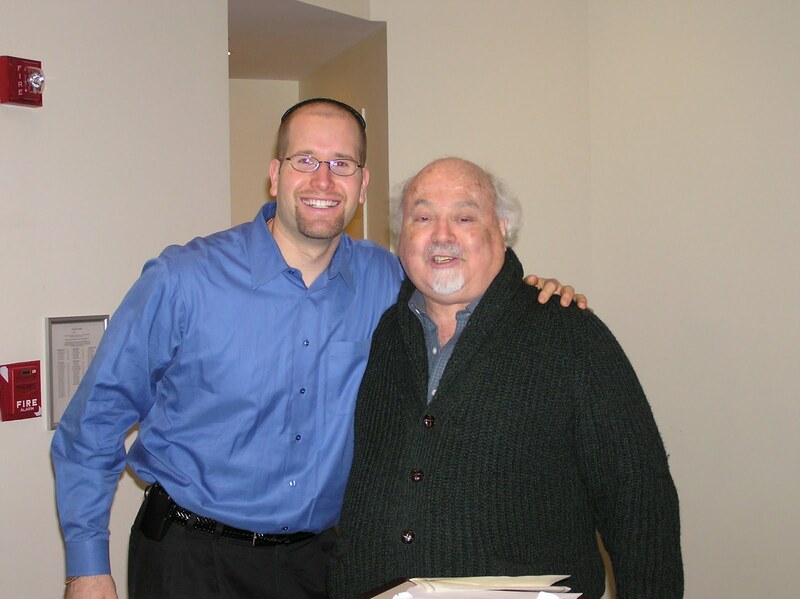 We have learned, through Rabbi Gillman's example, that the words of the living God can inspire lifetime of intellectual integrity, theological courage and humility." During my time at the Seminary, Rabbi Gillman played a very father-like role to me and many other students. He was kind and gracious, but wasn't afraid to let a student know when they possessed the potential to do better. I decided to submit a creative midrash on Akeidat Yitzchak (The Binding of Isaac) for inclusion on the Beit Nachum website. It is the story of this biblical event as told by Isaac as a guest on the Jerry Springer Show. It is evidence of the freedom that Rabbi Gillman gave his students to be creative and to think and write out-of-the-box. Happy Father's Day to all the dads out there, and to all of my teachers... Thank you. I've found Your blog by accident but it was very good accident because I had an opportunity to read a post about Rabbi Morris Shapiro who was ordained by Yeshivat Chochmei Lublin. It' a a great pleasure to read about a person, who lived in my own town and studied in place that I pass almost every day.